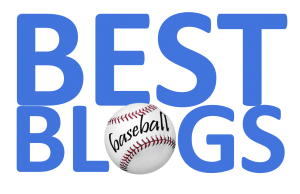 For the past two seasons, the editors of FenwayNation have given out the Eric Gagne Memorial 'Most Disappointing' Award to the Red Sox player who most under-performed from expectations. You may remember Gagne, who came to the team in mid-2007—off a half-season of great work for the Texas Rangers (2.16 ERA). However, as a member of The Carmine Hose, Gagne imploded. He blew three save opportunities and posted a 6.75 ERA and a 1.875 WHIP in the second-half of the season. He gave up 12.9 hits per nine innings pitched. Frightful. 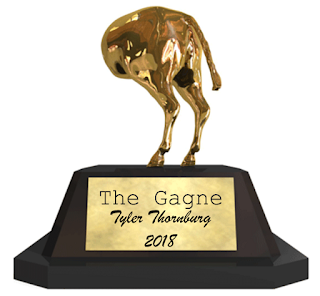 For 2018, we bestow this "honor" on relief pitcher Tyler Thronburg—better known as "the guy we gave up for Travis Shaw". Thornburg was absolutely miserable this season—compiling a 5.63 ERA in just 24 innings of work. The righty gave up 28 hits over that span—including six home runs. Opposing batters hit a robust .295 off of Thornburg, and he posted a really bad WHIP of 1.58. Thornburg edged-out fellow hurler Drew Pomeranz for this year's Gagne. The lefty—who began the year in the rotation—coughed up a 2-6 record with a 6.20 ERA. But as bad as Pomeranz was, the others in the starting rotation were able to pick up some of the slack. The bullpen, on the other hand, was disproportionately damaged all year by Thornburg's inability to be that "8th-inning" bridge to Craig Kimbrel. In fact, as the team heads into the playoffs, that issue is still not solved. So, congratulations, Tyler, you are the recipient of FenwayNation's 2018 Eric Gagne Memorial 'Most Disappointing' Award.